I was cooking for my family and The Boyfriend last weekend and had some stewing steak to use up, I wanted to do something a bit different from the norm as I have served up a Steak & Mushroom Pie so so many times in my house. 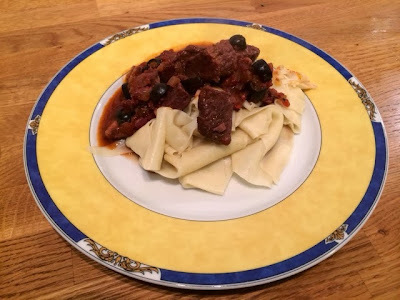 I remembered seeing The Hairy Bikers make a wild boar ragu a while back and so have adapted their recipe to suit the beef and tweaked it to my tastes (my family like A LOT of garlic) and thought what a great excuse to get out my pasta machine as it’s been sitting unloved away in the cupboard for a while. I love making my own pasta, its so easy and so satisfying. I now have my own pasta machine which helps me get it rolled out nice and thin, but if you don’t have one you can roll it out with an ordinary rolling pin, just persevere to get it really paper thin. You can use normal dried pasta if you’d prefer, I’d definitely recommend using wide ribbons such as pappardelle though as it works so well with the sauce. I wouldn’t ordinarily think of pasta as a dinner party dish but I think this is definitely impressive and special enough to serve up to dinner guests. 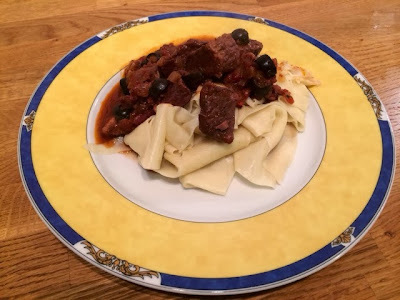 The meaty sauce was absolutely delicious and the olives and juniper berries really made it take on a different, deeper flavour from what you’d expect from a tomato based beef stew type dish. This ragu is definitely becoming a regular in my repertoire. I was worried about it being a bit too rich or a bit too heavy as a pasta sauce but the reception it received was amazing, both my Dad and The Boyfriend said it was the best dish I’ve ever cooked them! 1. 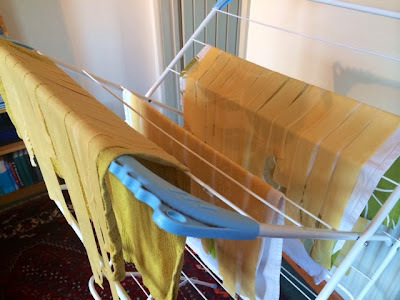 Make your pasta dough according to my fresh pasta recipe. 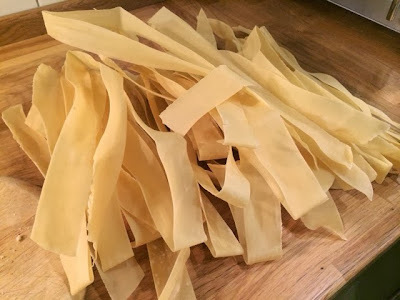 When you’ve rolled it out into paper thin sheets, cut into 1 inch thick pasta ribbons for the pappardelle and hang to dry for a minimum 30 minutes. I find a clothes airer an effective, if slightly unconventional way of doing this. 2. 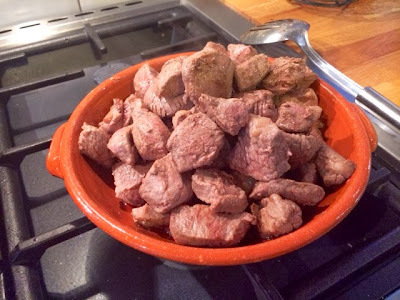 In two batches, fry the beef until browned on all sides. This is just to seal the meat, you’re not looking to cook it all the way through at this stage. Remove from the pan and set aside. 3. 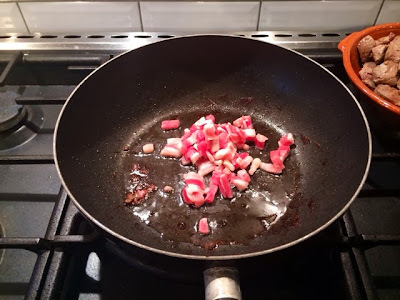 In the same pan fry the bacon lardons until cooked and the fat has browned and begun to go crispy. 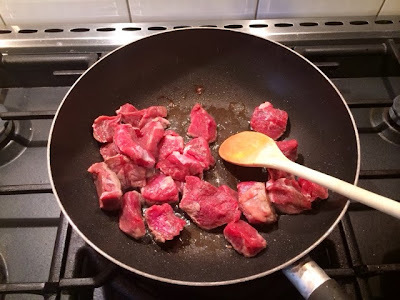 Remove from the pan and set aside with the meat. 4. 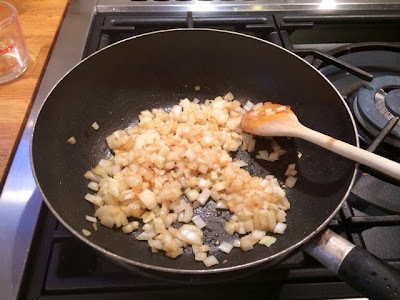 Add a little more oil to the pan and fry the onions until golden and softened. 5. 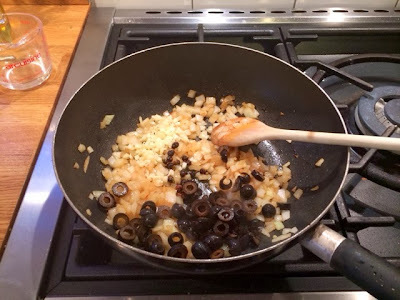 Add the olives, juniper berries, garlic and continue frying for a further couple of minutes. 6. 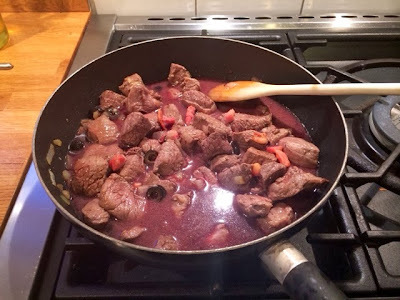 Return the meat and add the wine to the pan. 7. 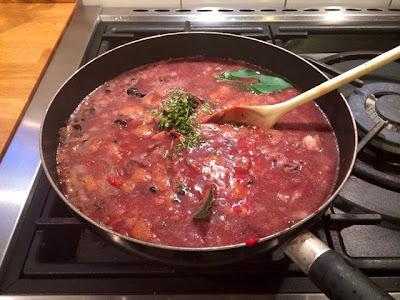 Stir in the tomato puree, add the chopped tomatoes and stir in the rosemary, thyme and bay leaves. Season well with salt and pepper. 8. Bring to a simmer, cover and leave for 3 hours. 9. 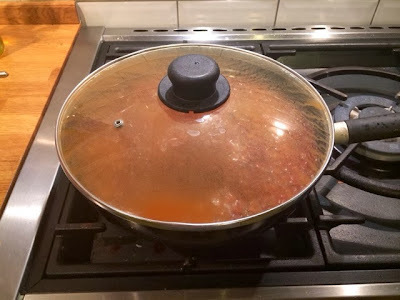 When the ragu is ready, bring a large pan of salted water to the boil. Add your dried homemade pappardelle and boil for around 3 minutes until cooked. 10. Drain the pasta and, if you’ve got the space in your pans, add the pasta and the ragu together and stir the sauce through evenly. 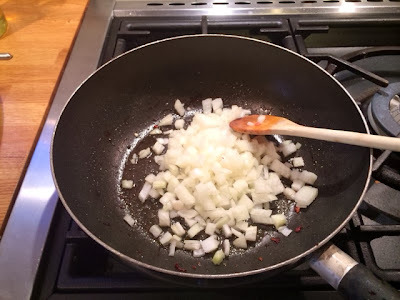 Unfortunately I couldn’t manage this without my pans over flowing so I served the pasta on warmed plates topped with the ragu. The sauce really does loosen the pasta up nicely when combined though.